There is a sign up about the "Arrêt de travail". If the English were to adopt this (and not whinge about their Human Rights), it would make "sickies" a lot less appealing to slackers. You must see your doctor and be signed off and send your "sick note" to the health service within 48h of becoming ill.
You are only permitted to leave your house between 9h and 11h and/or (?) 14h and 16h. if the doctor authorises such activity. You must not perform any activity that you have not been authorised to do. You must respond immediately to all tests, examinations, and verifications that the doctor (or the health service) may request. You are not permitted to leave your département without authorisation. 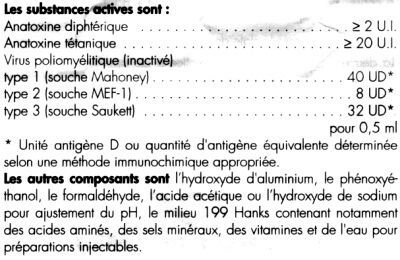 Only your "médecin traitant" can extend your period of sickness. Also, a médecin traitant is the doctor who you nominate to be your doctor. The French, something of a group of hypochondriacs, had a long history of getting other opinions, second, third, fourth... until they found a doctor who would diagnose them with the illness that they perceived they had - and this was obviously doing the medical system some amount of financial harm, so they devised the idea of "médecin traitant" for which your medical expenses will be covered as usual. You can still get the second/third/etc opinions, but the state medical coverage is less (if anything?). The next thing the Frenchies need to do is to restrict the perscriptions. I have not yet seen a person leave the doctor with their perscription slip that it doesn't amount to a whole bag full of stuff. It has even happened with me - the dentist is more restrained but even so I get a prescription of amoxyciline and two different anti-inflammatories (that I have unpleasant reactions to, let's just say I was forever peeing) and a box or two of paracetamol "just in case". Come on, was it necessary to cost the health service 3 euros for paracetamol "just in case"? And who doesn't have painkillers around anyway? I have a box of paracetamol in my backpack in case the atmospheric pressure changes rapidly, the sky is too bright... all the stuff that gives me a headache. Don't think I'm hooked on painkillers though, I don't like taking them, that box has been there since the beginning of the year. So was it really necessary to prescibe that? Okay, three euros is a tiny amount. I'd guess my doctor sees around 15-25 people each session. There are four morning sessions a week. That's nearly 1000 euros if they all walk out with a prescription for paracetamol. This isn't counting afternoon visits (which are by appointment only). Multiply this by the number of doctors in town, the number of towns... you can see this can quickly snowball to be quite a large number. Okay, okay, you could argue that some people perhaps cannot afford to buy a box of paracetamol (mine retailed at 1,27 - you can get better, you can get worse (like those horrid horse-tablet ones)). The test is easy. Sniff. If a person can afford to smoke, they can buy themselves a box of painkillers. By the way, if you don't believe me, try looking for "arrêt de travail" at www.ameli.fr. I would just like to point out, for ex-pats, that RadioTimes magazine is available in France. What you need to do is order it using the code 04328. Your newsagent (usually a bar/tabac?) will know what to do with this, though I probably wouldn't bother trying to request it from a supermarket! You see, every French magazine has a code number printed by the barcode. It is usually a letter followed by five numbers, like "L.12345". This is the code for the magazine, and the code for RadioTimes is 04328 (no letter). It costs €2,30 (cover price £1) which is less than 10 euros a month, not so bad, and it usually arrives on the Thursday before it is valid (UK releasal is on the Tuesday before). As of December 2008, the price of RadioTimes is €2,50 (cover price £1.10). You might be asking why anybody would want this when there is the Sky EPG and the Internet? Well, not all of us use Sky boxes to receive British TV. I don't any more, and the non-Sky boxes don't show the EPG. Even if they did, I prefer the column layout of RadioTimes as it is much clearer. With the Internet, it is a harder call as you can find listings on-line for channels such as Zone Horror for which there are no listings in the magazine. On the other hand, I tend to buy my RadioTimes and then go to the adjoining bar for a tea where I can look through the magazine and make a note of what is on that looks good. I guess the bar could do WiFi and I could consult that way, but it isn't the same, is it? Furthermore, there is a lot of related material in RadioTimes, not just listings, especially if you are a fan of The Doctor! Lastly, it is nice to be able to read something written by people with a clue, unlike the other two commonplace publications available around here, and by that I am referring to The Daily Mail and Brit Mag. The latter, Brit Mag, falls into the same category as French Property News; in my opinion it would seem as if both are either written by wallies, or for wallies (I could easily use a stronger adjective here)... Is it really necessary to keep on saying (bleating?) things like "in order to integrate, you must speak to your neighbours in French"? If that isn't already in the realms of la bleedin' obvious then that person has no business moving to France in the first place. Well. How weird. After worrying about the injection, it turned out rather different to what I expected. It was stuck in my back, around my neck. In a muscle that isn't used much. Tell you what, stand up tall and then - keeping your back straight - try to reach your left arm down to your knee. Whatever muscle that is in the back of your shoulder is the one that is affected. It would hurt like hell for me to do that, but day-to-day activities are fine. Much better than having the injection in an arm. My doctor said "don't worry, this will not hurt, take a deep breath" and then he walked away. I'm wondering if something was wrong when her said I can put my jacket back on. The whole procedure? Under two seconds. I cannot say when the needle went in and came out. So I guess there are benefits to having an injection where you don't have many nerves! I would like to say all is well, but my tummy is very irritated and gurgly and I feel blah. I guess that's my body making antigens, or whatever. Question - I got three different things, should I feel three times worse? Whatever, I'm going to make this website update for tomorrow and then go to bed. Don't have a word for today. Instead, try to think of as many euphemisms and alternatives to "vomit" as you can. Here's a few to get you started: puke, throw up, toss cookies, technicolor sneeze, hork, disgurge, spew, retch.